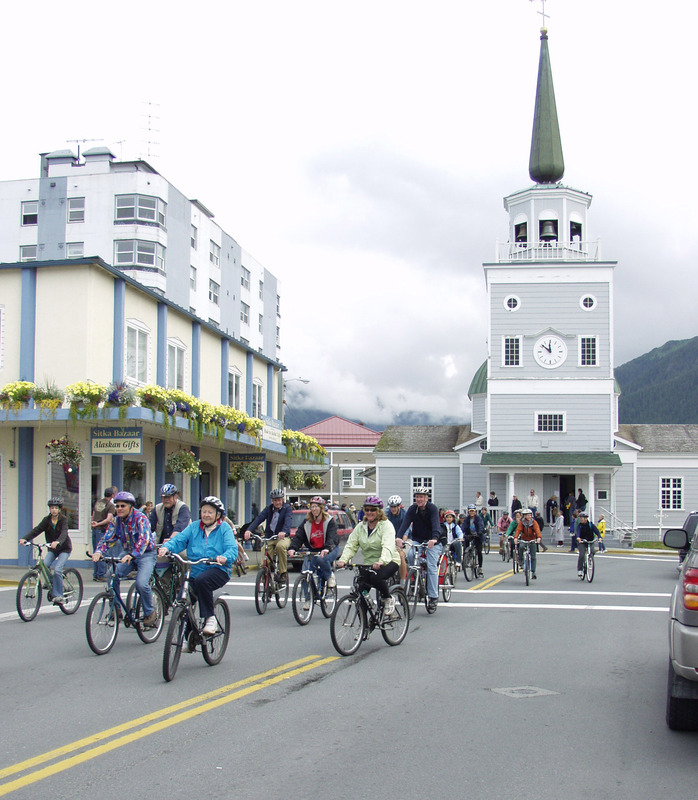 The Sitka office of the Southeast Alaska Independent Living, Inc. (SAIL), will host its monthly ride for its new Senior Biking Club for those 60 or older at 10 a.m. on Thursday, Dec. 11. 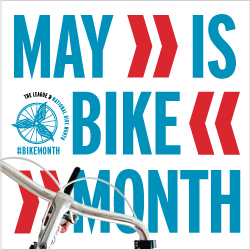 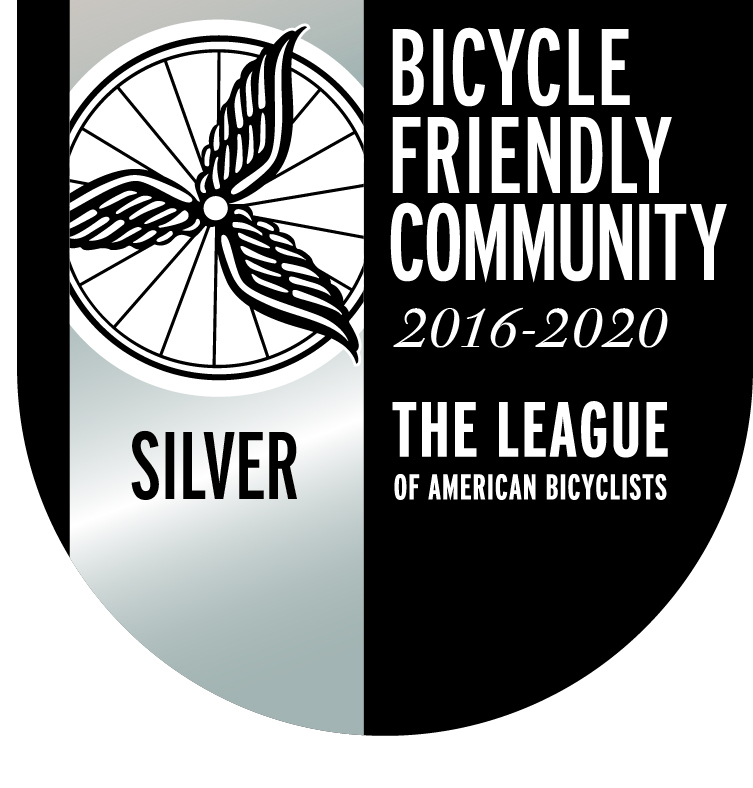 Meet at the SAIL office at 514 Lake St., and the ride will start from there. 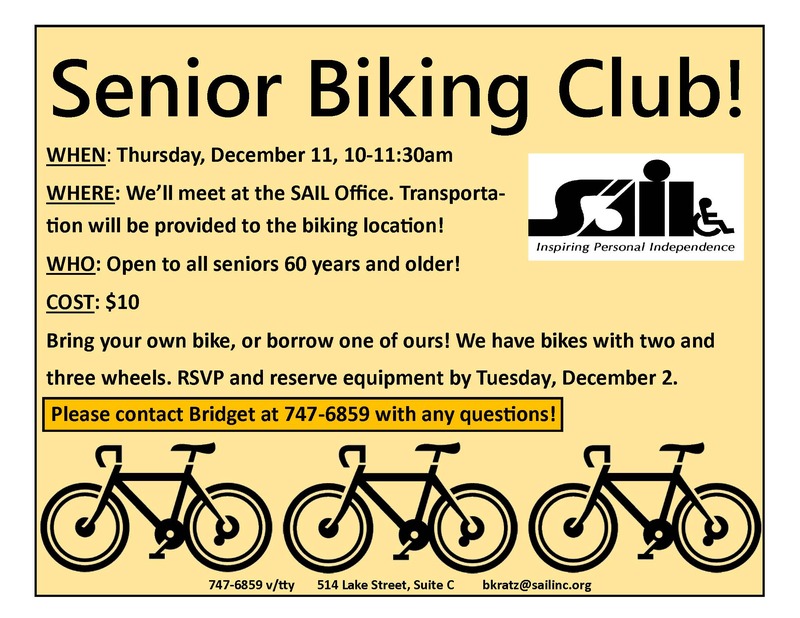 The Senior Biking Club is modeled after SAIL’s Senior Hiking Club. 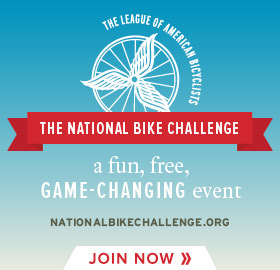 The biking club costs $10 per person, and cyclists can use their own bikes or reserve one of SAIL’s bikes for the ride. 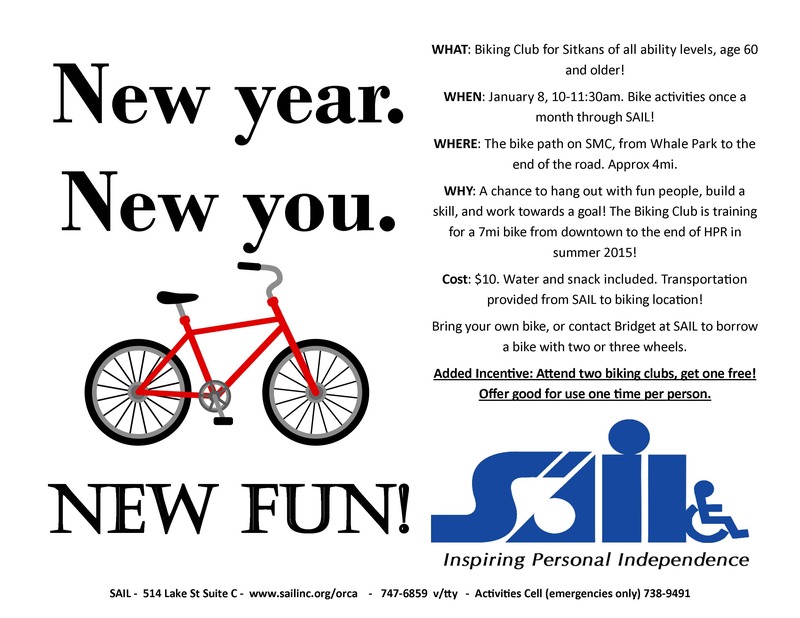 SAIL has two-wheel and three-wheel bikes available, but you need to reserve them by Tuesday, Dec. 2. 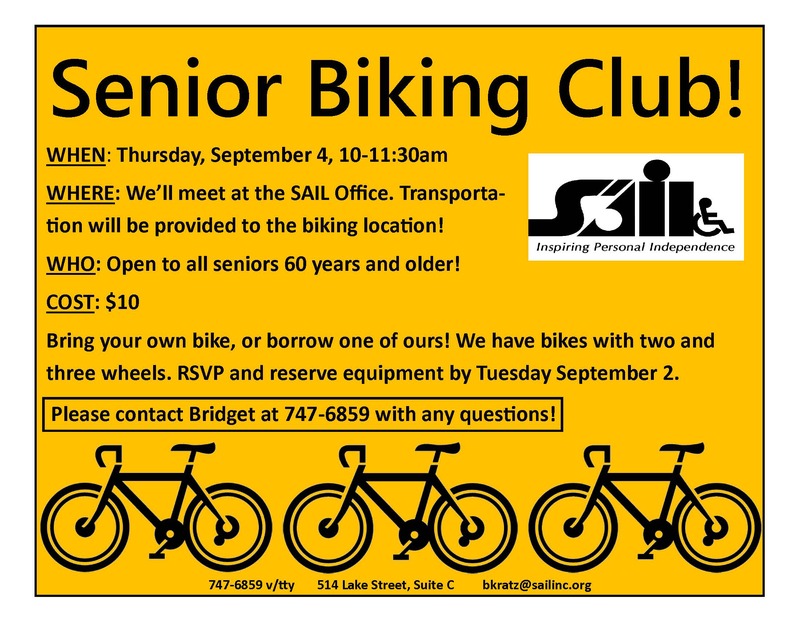 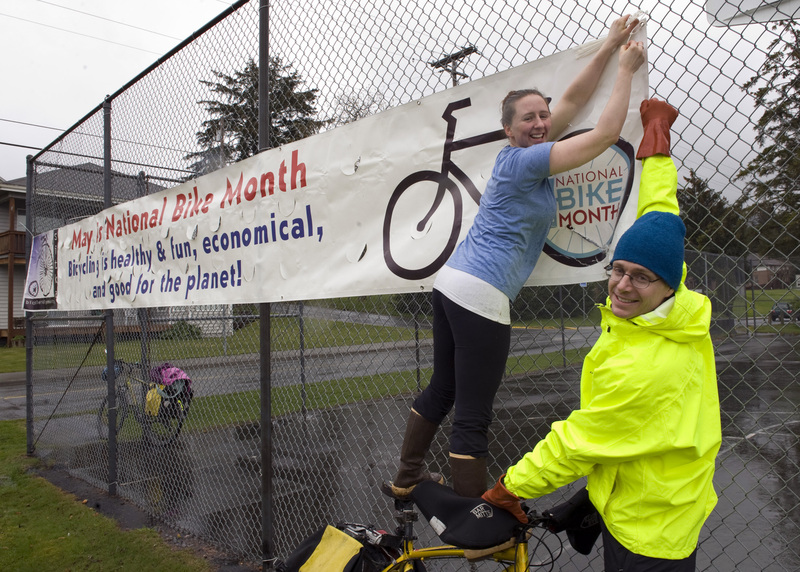 The Sitka office of the Southeast Alaska Independent Living, Inc. (SAIL), will launch a new Senior Biking Club for those 60 or older with the first monthly ride set for 10 a.m. on Thursday, Sept. 4. 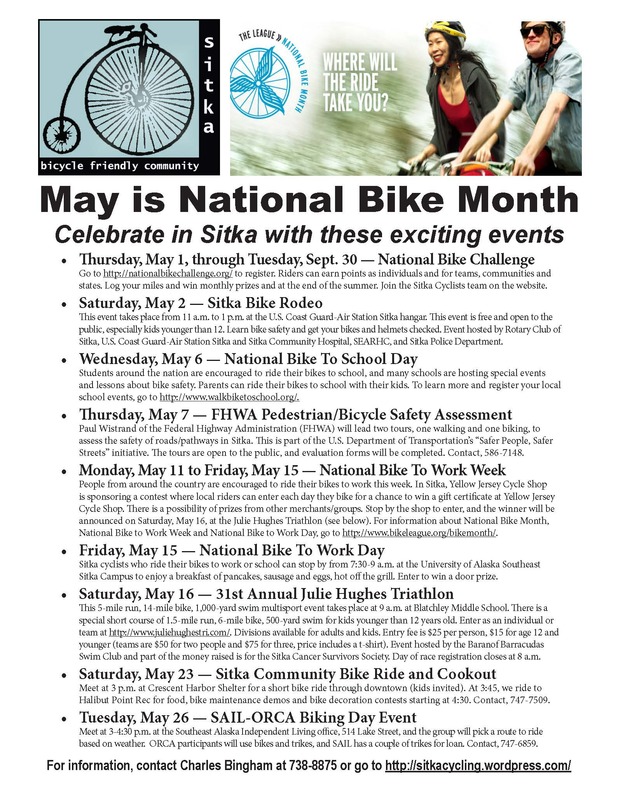 Meet at the SAIL office at 514 Lake St., and the ride will start from there. 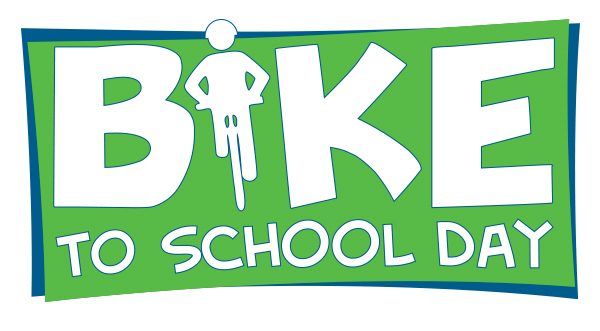 The Senior Biking Club is modeled after SAIL’s Senior Hiking Club. 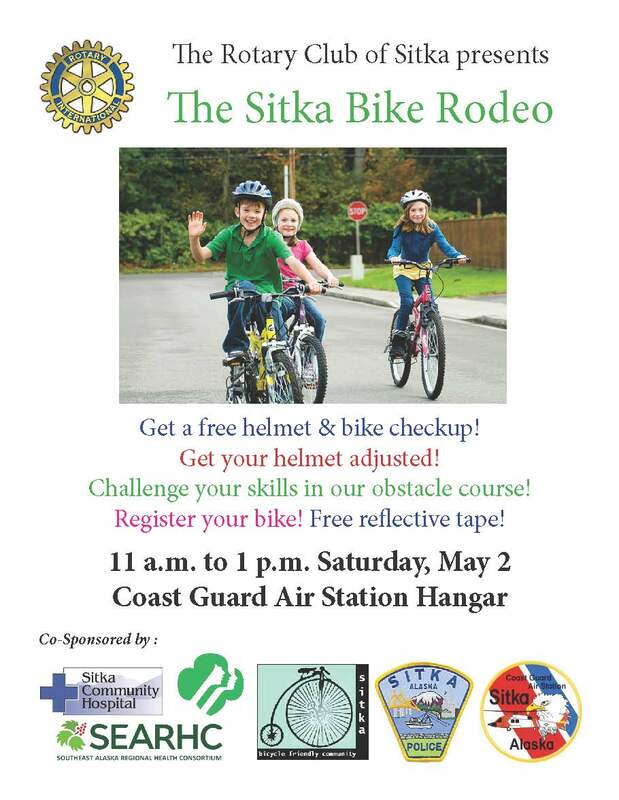 The biking club costs $10 per person, and cyclists can use their own bikes or reserve one of SAIL’s bikes for the ride. 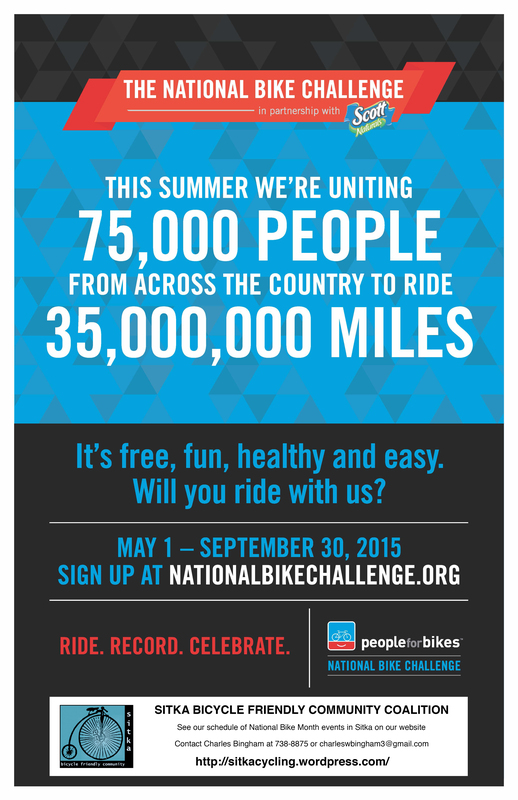 SAIL has two-wheel and three-wheel bikes available, but you need to reserve them by Tuesday, Sept. 2.